Add a lifelong learning experience to your Florida Keys or Bahamian charter. Join marine researchers on Abaco as they study the bonefish movement and behavior pre-spawn, during spawn, and post-spawn. Studying specific bonefish spawning sites in the Bahamas will provide information on the Bahamas bonefish population and guide fishing regulations in the area. This is done through visual observation via SCUBA and collection of wild bonefish. Guests can take part in the research, and can dive along with the scientists during the spawning events where hundreds of bonefish come together only a few times a year. If you want to get up close and personal with a tiger shark, this is the trip for you. This is also a unique opportunity to work with expert researchers from the RJ Dunlap Marine Conservation Program at the University of Miami. 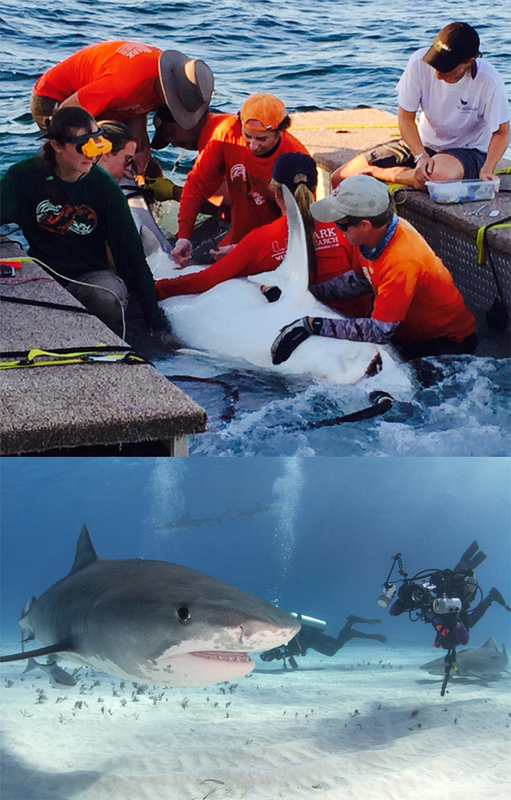 Guests will have the opportunity to work alongside researchers as they pull sharks up onto the tagging platform, take measurements and tag each tiger shark as part of ongoing research on the Little Bahama Bank. Approximately 20 miles north of West End, Grand Bahama Island, is Tiger Beach, a well-known spot for shark activity. SeaKeepers researchers will educate guests on various shark species, especially the tiger shark which gives Tiger Beach its name. Additional opportunities include assisting with hydrophone work (hydrophones are mounted to the seafloor to record tagged sharks passing by) and enjoying a shark dive with a leading shark scientist as your guide. The Exuma Cays Land and Sea Park is famous for its spectacular marine environment. 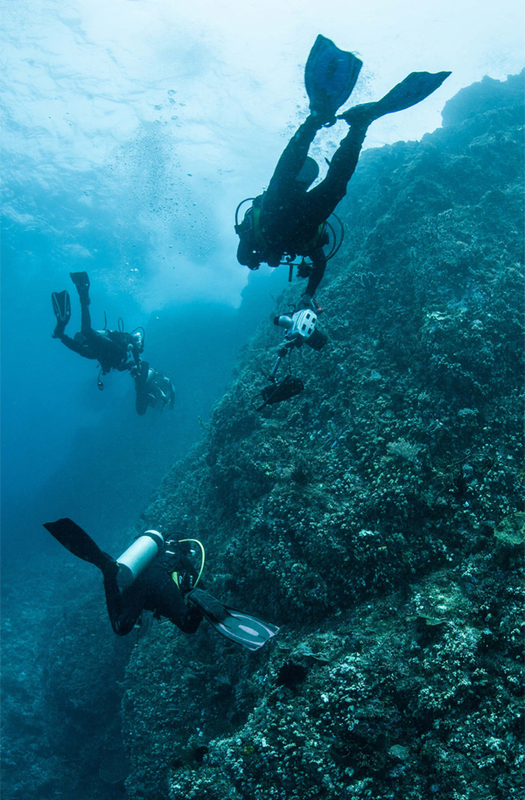 Join SeaKeepers researchers as they survey the park's coral reefs as part of ongoing monitoring. Leading coral biologists working with the Bahamas National Trust are establishing a local coral reef nursery to grow fragmented coral for reintroduction onto Bahamian reefs. 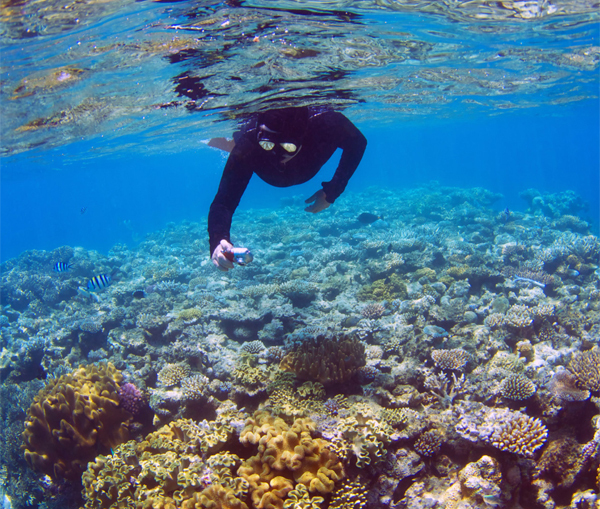 Guests can visit the coral nursery and become an important part of the process by diving on various reefs to help collect coral fragments for the nursery and conduct reef surveys. Anyone who appreciates what coral reefs have to offer will enjoy being a part of this exciting project. The waters around Marquesas and the Dry Tortugas are some of the most pristine in the Florida Keys. This is also a popular research area for the elusive sawfish. Guests are welcome to join the SeaKeepers research team onboard their "sawfish tender." Each day guests will experience research hands-on, see sawfish up close and help researchers catch, tag and release sawfish. Join SeaKeepers coral reef researchers for a reef-mapping expedition on the many intricate coral patch reefs off the Florida Keys. Spend a day or more offshore diving and snorkeling with reef scientists as they share their knowledge of the reef with you and create a large-scale map of the area to be used for future reef monitoring.